How did you get to the Women’s March in January? Whether you flew to DC and made a girls weekend out of it, drove to the nearest protest, or watched it from the comfort of your home (and your Insta feed), you probably didn’t do it the way Alison Désir did it. She ran—250 miles. Leading a team of four women, and drawing hundreds of supporters along the way, Désir started off in New York City and went all the way to Washington. The run was long, it was cold, it was largely in the dark, and it involved getting lost more than a handful of times. But they were, very literally, on a mission: to raise thousands of dollars in honor of outgoing President Obama, all of which would go to Planned Parenthood. The effort became known as Run 4 All Women, and by the time they reached the steps of the Capitol, they had raised more than $100,000 for the cause. So it would’ve been easy for Désir rest her tired legs, call her fundraising effort a major win, and move on. But Run 4 All Women was just the beginning, she says. Now the effort is going national, with a wave of new fundraising races, inspired by the original 250-mile trek to DC, kicking off soon across the US. 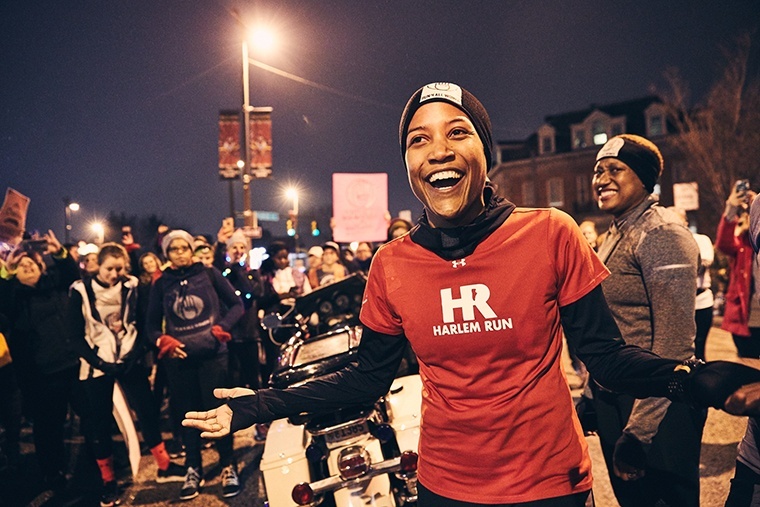 Here’s what Run 4 All Women has planned for the future—and how you can get involved. Where did the idea for Run 4 All Women come from? Alison Désir: I knew I wanted to do something meaningful, and running for a reason was my origin. When I first started running and training for marathons, I raised money for the Leukemia & Lymphoma Society. So I mentioned the idea of running to DC to my friend, and even though it’s a 250-mile run, she said she was in. My boyfriend [now-fiancé] would drive the van, and we’d take turns running until we got to DC for the Women’s March. Then two more women came on board, so the original name was 4 Women Run 4 All Women, which we eventually shortened, because it became about so much more than us four. We were running for a cause greater than ourselves, something that would impact lives of women everywhere. How long did it take for the idea to catch on? AD: When I launched the fundraising page on January 2, my mom was the first person to donate. By the end of the first day, we had $800, so it wasn’t immediately obvious that this would take off. I knew I’d have to really engage everyone in my network and community, and I was emailing everyone I knew, posting on social, calling people, tweeting, getting Harlem Run involved. By day four or five, we had raised $6,000. That’s when the press started to take notice. Suddenly we were raising a few thousand dollars a day, and by day eight, we had reached our $44,000 goal. When we left for DC, we were at $67,000. You could’ve made it to DC, retired your running shoes, and felt pretty victorious—but Run 4 All Women is still going so strong. Why, and more importantly, how? AD: People were emailing us throughout the entire relay saying they wanted to do something similar in their neighborhoods, so I realized pretty immediately that the momentum couldn’t stop with this one run. We had learned so much on the trip and throughout the process, so we asked how we could continue this mission and teach other women what we had learned along the way. The first thing we decided was to establish an ambassador program. And it happened really quickly. We put together an application, sent it to women who had reached out to us, shared it on social media, and got a ton of responses. From there, we picked 23 women to be official Run 4 All Women ambassadors. We hosted a summit for them in New York City in April, and we pulled from all of our skills to create a program. The summit was huge because we’re not an official organization and couldn’t pay for these women to come to NYC—we just said come here and we’ll train you, and they showed up. We started to form the bonds and relationships that have led to the second Run 4 All Women events, which are happening now. Tell me about the events happening now. AD: We’re in the midst of our second major event, which is a virtual relay run. It started in July and culminates on August 11. The challenge was for women to do the run we did, but virtually—to commit to raising however much money they could and working alone or with a team to try and run 250 miles. A virtual challenge is a great option because then women everywhere can be a part of what we’re doing. And the timing is perfect as runners are gearing up for their fall marathons—this gives more meaning to what they’re already doing. There are so many teams of women participating, and we’ve already raised more than $8,000. What big events are coming next, and how can people get involved? AD: Our national kickoff is this weekend! Our ambassadors have teamed up to host relays and runs in their home states, including a 40-mile run in California, a 50-mile event in Boston, a 140-mile run in Louisiana, a 44-mile run in New Jersey, and a 115-mile run in Pennsylvania. I’ll be attending the event in Louisiana, because I think that may be the most contentious. In the northeast, for the most part, there’s greater support for Planned Parenthood. In Louisiana, it’s not that way, and there are fears about security, having enough support—I want to be where I can have a meaningful presence. Our goal through these events is to raise a total of $50,000. You don’t have to pay to participate. You can fundraise, you can donate time, money, water, any number of things the participants will need on the run. And this fall, we’ll be premiering our documentary about the original run to DC at the Women’s Sports Film Festival in Oakland, CA, which is a huge honor. Whenever I explain to people that we ran this relay and what it was like, I get a lot of confusion. It makes so much more of an impact when you see it on film. Even my mom, our original donor, saw the rough cut and was like, “Oh, that’s what you did!” We’re hoping the film will make it more accessible and will excite people to continue engaging. Will Run 4 All Women’s events always be raising money for Planned Parenthood? AD: Not necessarily. Fundraising is really important, but the goal is to focus on our guiding principles and see what develops from there and what that means for future fundraising opportunities. Our main goal now is to help women find empowerment through running, not just through events for Planned Parenthood. As an activist, how can women keep their momentum going, and why is it so important to remain vigilant right now? AD: My best advice is to engage and empower other people around you. The truth is, it’s really draining. You have to really put yourself out there, which can be emotionally exhausting. And be sure that whatever you’re doing, you’re being creative about it. Make it personal. I’ll be honest, I tweet a lot about calling your senators, but I’m just not a “call your senator” person. I’ll engage my community to do it, but I like hosting these events and empowering women. You have to do what works for you, whether that’s a quilt circle or making calls with your friends. Everyone has a place in this. Find what lights you up and run with it. Literally. When it comes to being a trailblazer for fitness and women’s rights, Désir’s in good company. 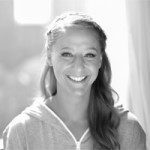 Lauren Ash, founder of Black Girl in Om, wants to empower women through wellness, too. And after all, health and self-care has always played an important role in activism.